Mary Alice McGruigan Slade died September 12, 2018, living near some family in Salt Lake City, UT. She was born September 22, 1921, and was 96 years of age. Mary Alice was born of special parents, James Christopher "Chris" and Eda Schumacher McGruigan. Her father met his untimely death due to a farm accident when Mary Alice was eleven months old. She was known to family and friends by her loving stepfather’s name, Joseph Wielang, as she grew up in Durango, CO. Mary Alice’s grandparents, George and Mina Schumacher, were early settlers of Durango and established a home on the plateau east of Durango, then known as Reservoir Hill. Mary Alice had the good fortune to have been born and raised in that idyllic spot where she became close to the beauties of nature in what is now known as College Heights. 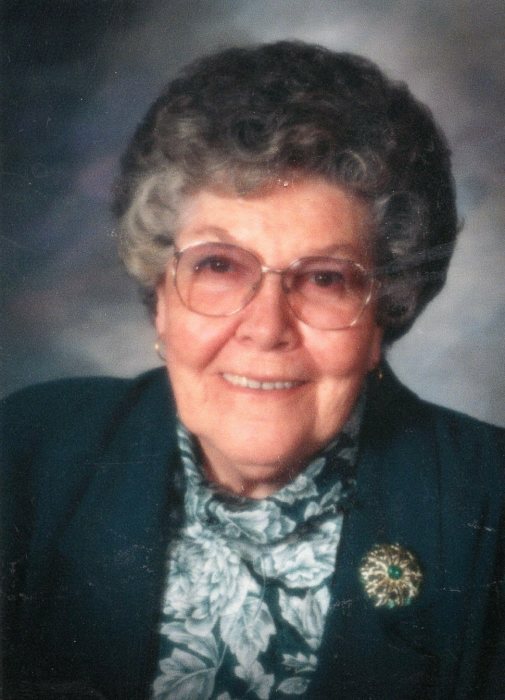 Mary Alice attended school from first grade through high school with relatively the same group of classmates and friends, graduating from Durango High School with the class of 1939. She attended and convocated from Fort Lewis College in 1942. With a much desired teaching certificate to which she had aspired all her life. She taught school in Colorado for five years prior to moving to Nevada. She married James Lynn Slade August 9, 1942. 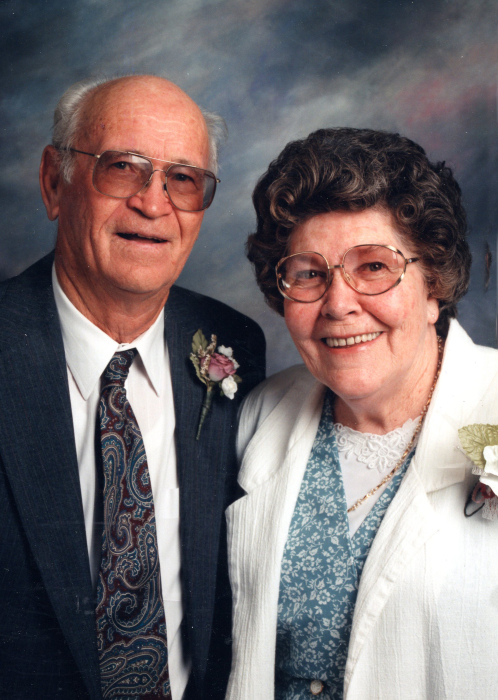 Their marriage was solemnized in the Mesa Arizona Temple October 23, 1942. Together they had three children: sons: James L. and Dean, and daughter Diane. She and Lynn had sixty-three years together until his death in 2005. Despite moving from Colorado, she and Lynn never forgot their deep attachments to Durango and the beautiful state of Colorado, and chose to be buried in Greenmount Cemetery where numerous other family members are. It was a very favorite occasion for them to revisit Durango and her beloved hillside home. She pays tribute to having wonderful friends throughout her years whom she fondly remembers. She was forever grateful for the valuable education she received in Durango schools and Fort Lewis College. She was an alumnus of the Old Fort and felt she was fortunate and grateful to have the experiences of that era with superior teachers and friends of outstanding caliber. She graduated from Brigham Young University with a BS degree, and enjoyed further education toward a Masters at UNLV in Las Vegas, NV and UNR in Reno, NV. She loved teaching and had experience in many different grade levels for thirty-two years. She was a writer and enjoyed that hobby as a member of the Utah League of Writers, and as a student of Walter Von Tilberg Clark, the renowned author of western literature. She published a history of her beloved Durango, various family histories, and a book "Reflections" of her poetry. She enjoyed years of correspondence with family and friends. She treasured her experiences and testimony of the gospel and her membership in The Church of Jesus Christ of Latter-day Saints and served in many positions. She and her husband were grateful for the opportunity to serve two missions together – one to the Philippine Islands and a Family History mission in Salt Lake City. She loved to travel and had opportunity to see many special places and beauties of this wonderful world. Her greatest joy was to see her children grow and accomplish in their chosen paths in life and become the stalwart citizens of this great land of America, as they became good parents of their own children and grandchildren. She leaves her children: James L. and wife, Karin Heaton, Dean, and wife, Susan Pocras, Diane and husband, Gary H. Tavares; 13 grandchildren; and spouses, and 46½ great-grandchildren; brother, Robert (Ruth) Weilang, Denver, CO; as well as dearly loved cousins. She felt she was blessed to live her own segment of "A Wonderful Life. She is preceded in death by her parents; step-father; brother, Joe (Gerry) Weilang.